POLICE believe a truckie had just finished a phone call just seconds before his semi-trailer rolled in a fatal crash on the Bruce Hwy north of Rockhampton on Tuesday night. A spokesman last night said fatigue had been ruled out as a factor. 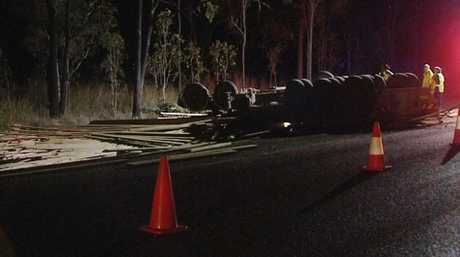 The semi-trailer, which was hauling timber, overturned about 25kms north of Marlborough about 7.30pm. A man, 45, from Plainland, east of Toowoomba died in the crash. 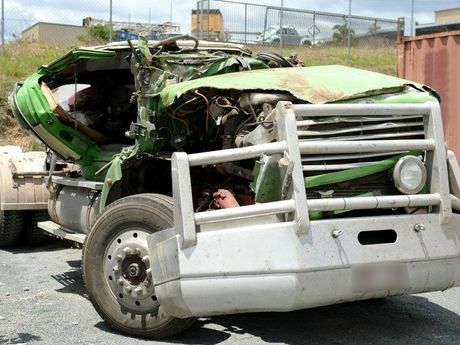 The death is the central region's 54th fatality on the roads this year and the fifth in the Capricornia district in the past fortnight. 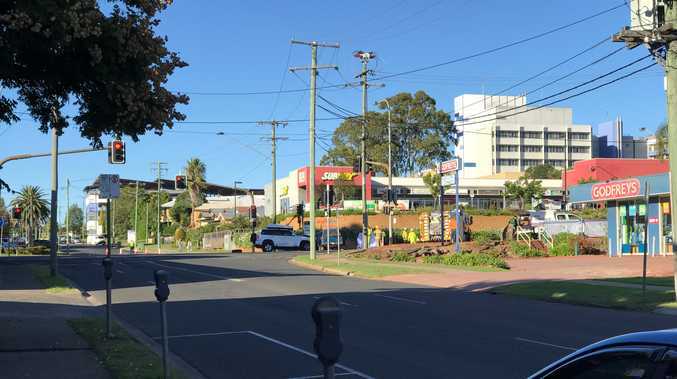 The truck had started its journey from Brisbane that morning on its way to Moranbah. The police spokesman said it was believed the driver had just finished a phone call when the vehicle went on to the side of the road. It's thought the timber shifted which led to the semi-trailer overturning. Police are also examining the wreckage of the vehicle. The highway was closed for several hours until 2am. Yesterday, Rockhampton Police Acting Inspector Ben Carroll urged motorists to drive to the conditions. The region had been tracking well, with fatalities well down on the corresponding period for last year. Recent deaths bring the total this year to 54.